Wine On-Premise 2014: What to Do in a Flat Market? 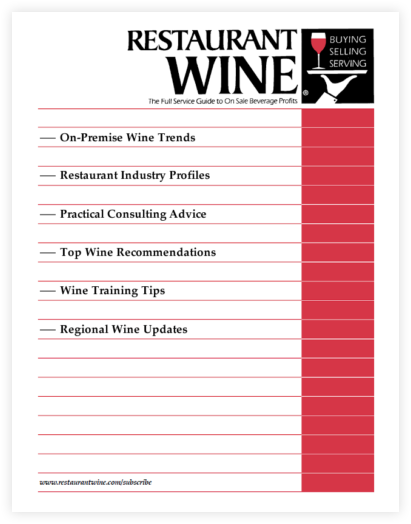 Below is a summary of Restaurant Wine issue #152-154, published in November-December 2013, January-April 2014. This issue is available for purchase online by clicking “Add to Cart” below. Wine sales on-premise are in a holding pattern. 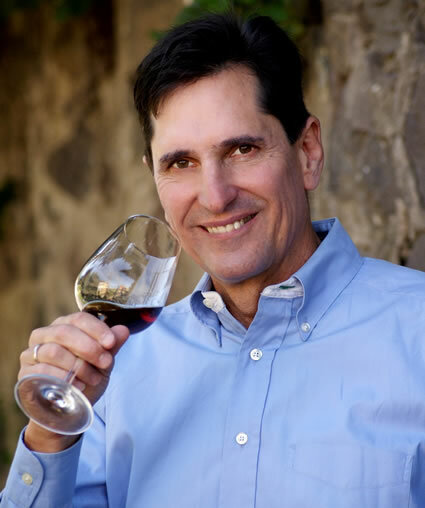 Even so, there are specific areas in your wine program you can focus upon in order to drive incremental sales and profits—even in a flat market. Here are eight of them. One of the world’s great white wine districts, Alsace is especially known for its outstanding dry Rieslings. Here we recommend 24 of them, nearly all from the excellent 2011 vintage. Effective from the 2012 vintage on, this classification is designed to simplify the labeling of German estate wines by reserving single-vineyard names for the best wines from estate members, and labeling wines from lesser vineyards with less specific village, commune, region, or estate names. Amici, Artezin, Ballentine, Beringer, Blackbird, Buty, Casey Flat, Chalone, Chateau Ste. Michelle, Claiborne & Churchill, Cobb, Conn Creek, Corison, Corley, Cornerstone, Crocker & Starr, Duckhorn, Firestone, Foley-Johnson, Folie a Deux, Greg Norman, Grgich Hills, Handley, Hess Collection, J. Lohr, J Vineyard, Jekel, Konstantin Frank, Kuleto, MacMurray Ranch, MacPhail, Merry Edwards, Michelle-Loosen, Monticello, Northstar, Patz & Hall, Pedroncelli, Provenance, Quivira, Ramey, Schug, Scott Family, Sebastiani, Silverado, St. Supery, Stag’s Leap Wine Cellars, Sterling, Tablas Creek, Terra d’Oro, Three Rivers, Trefethen, Trinchero, Ventana, Whitehall Lane, William Hill, Wrath, etc.